The magician shows a long black scarf. He shakes it gently and the scarf visibly changes from black to multicolor. Suitable for any kind of audience. The scarf is 45" long (115 cm). The effect may also be performed back to front, that is from multicolor to black. 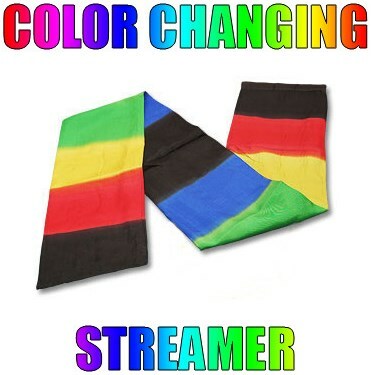 Or, after turning the black scarf to multicolor, you can make it go black again.